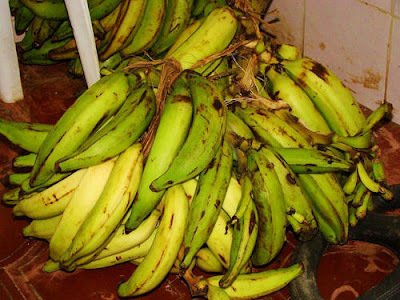 A man has been arrested after stealing a bunch of unripe plantain in Akwa Ibom state, Nigeria. The father-of-5 identified as Victor Okon, was apprehended and handed over to the police in Afaha Atai, Akwa Ibom State. Mr Okon was pictured handcuffed and being carted away in a police van as well as the stolen plantain which was tied to what seems to be his motorcycle. Unfortunately, the state of the Nigerian economy has not made survival easy for the common man who have been reduced to stealing food supplies. Okon who is married and has seven mouths to feed, including his own, is just one of many.